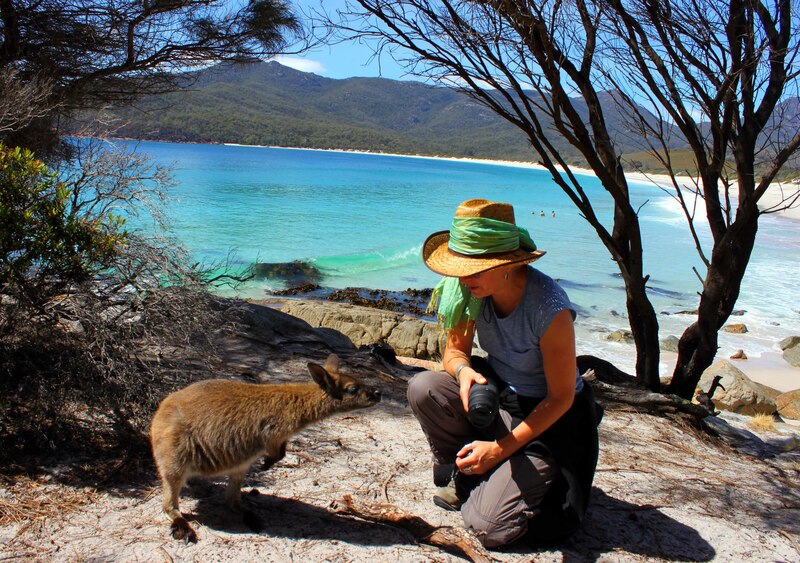 For me, one of the highlights of this trip was always going to be a visit to Wineglass Bay. 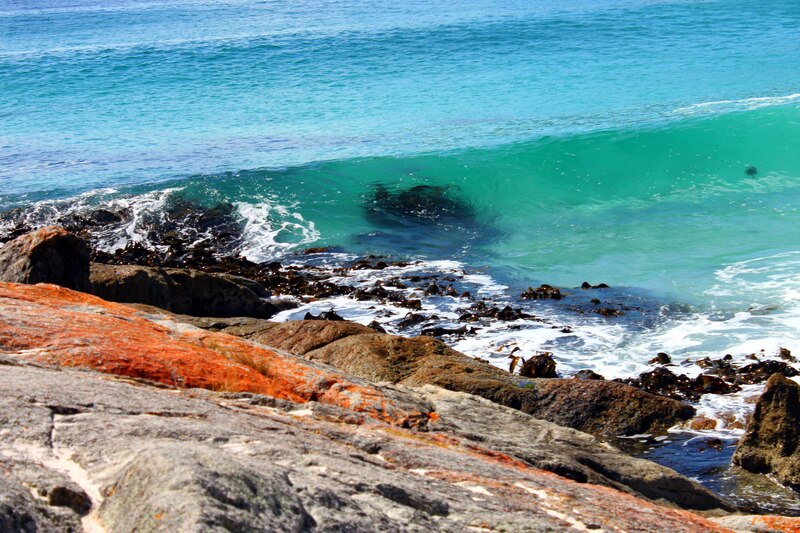 Passing through the town of Coles Bay we arrived at the walking track starting point which the pink granite outcrops of the Hazards towered. The walk up to the view-point down to the bay and back again takes about 2.5 – 3 hours. The trek is tough, the multitudes of mosquitoes have the characteristics of stealth bombers ie. silent and deadly and the horse flies are persistent. Anyone thinking of attempting this walk should take good walking shoes, lather themselves in repellent and pack a lot of fresh water. Tantalising glimpses of the bay could be seen on the steep rough track that led down to the bay but nothing prepared me for the beauty of this place when I finally walked onto the beach. After an hour or so of exploring we girded our loins, flexed our muscles, gritted out teeth in preparation for the strenuous uphill climb. I fixed a mental image of a lobster lunch in my head as an added incentive as our next stop was going to be the Freycinet Oyster Farm. Wonderful! Mother Nature, animal and even your phots. 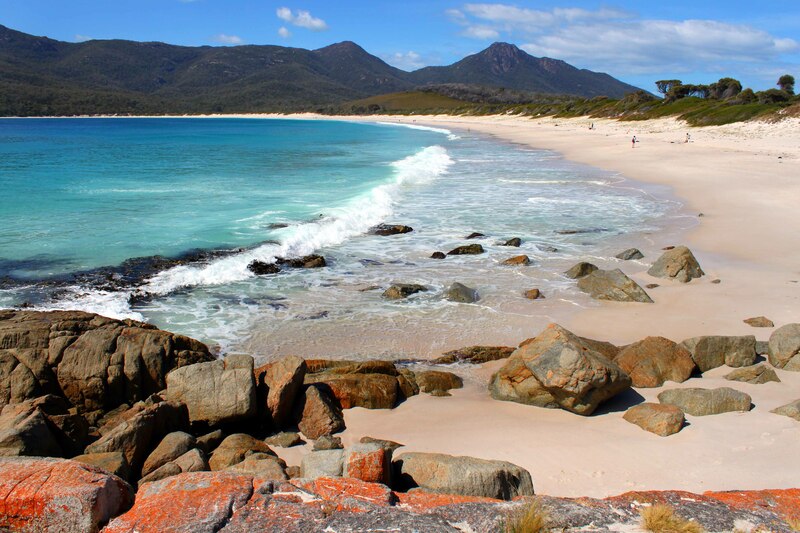 I haven’t heard of Wineglass Bay before but I’m now dying to go! You simply made my day Sue! Breathtakingly beautiful… it is so reassuring that such unspoiled beauty has been preserved -maybe the horse flies and the mosquitoes are secret agents on a mission to keep the place unspoiled? Wonderful … photos … a paradise, can see you enjoyed it and made new friends. I have enjoyed these travel series on Tasmania so much. So beautiful. Are the biting insects persistent all the time or is there a certain time of year when they’re not so bad?. Autumn here is usually bug free and yet still warm enough for a trip like this. My husband is a magnet for stinging and biting insects. To be honest Im not sure if this year was really bad or not. It was only in certain areas though. stunning! that place looks incredible! Its a beautiful post and lovely pics. Australia is truly amazing. Wonderful! 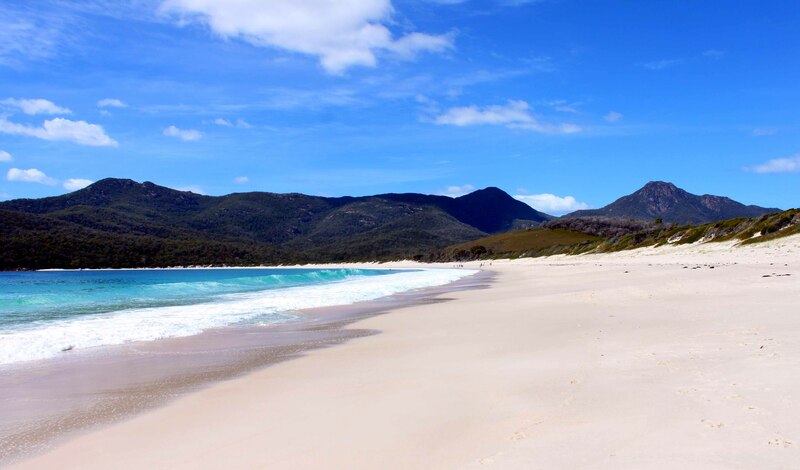 Wineglass Bay has been on my bucket list for quite awhile now. Your photos are absolutely gorgeous! 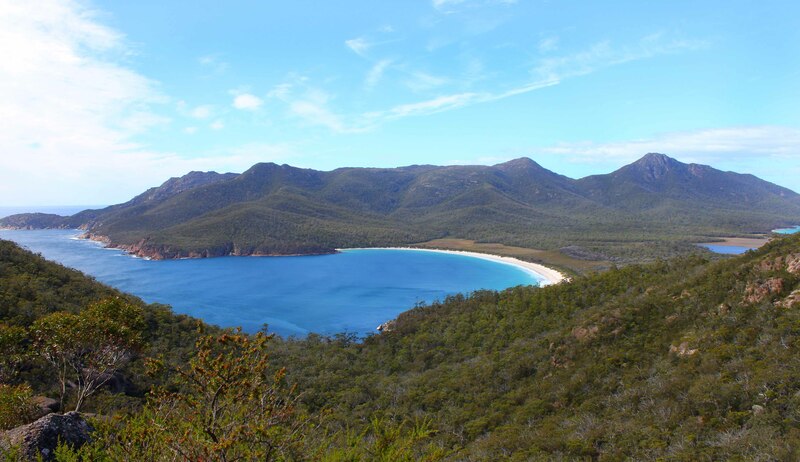 Breathtaking views of Tasmania! Love the last one, beautiful shot. So lovely, words are not sufficient to do it justice. 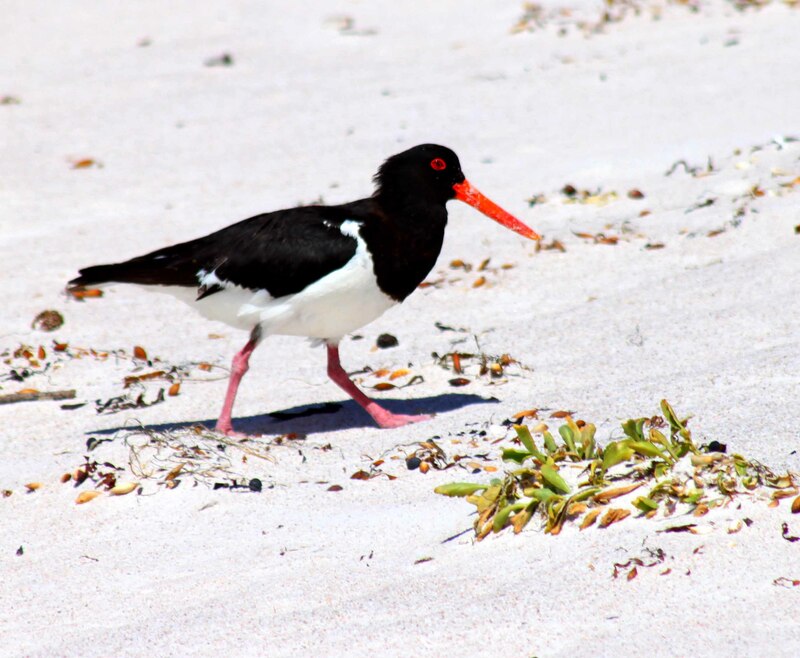 You are my kind of travel companion – scenery, history, hotels, cake, coffee and LOBSTER! No motorbikes either!!! 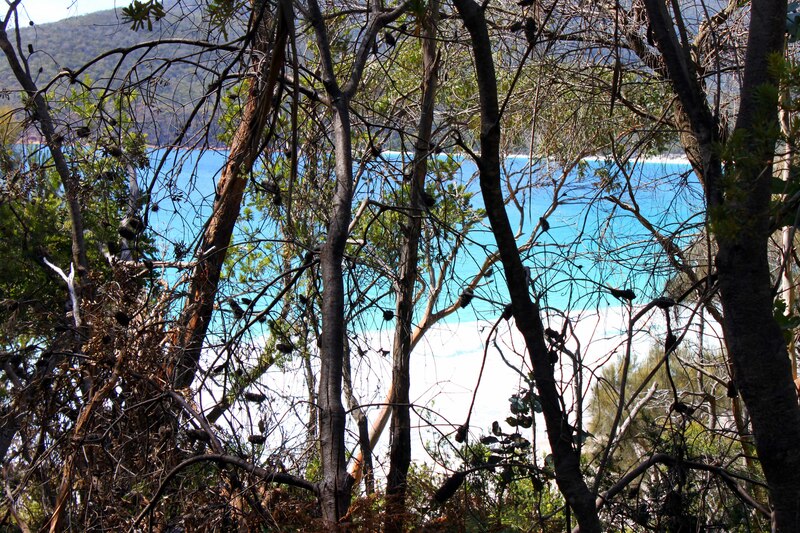 I’ve been to Wineglass Bay and did the whole walk. I’d seen photos of it before and, like many others, I thought that it could NOT be that stunning – it is! When you get on to the beach, it is so peaceful that you think you might be on a desert island far away from the land mass. Lovely photographs! Thank you for sharing. We only did the walk to the lookout and now that I’ve seen your photos I’m wishing that we had gone the whole way. How beautiful. What put me off was the thought of walking back up again. It was hot the day we were there too. I love these colorful and vivid photos. 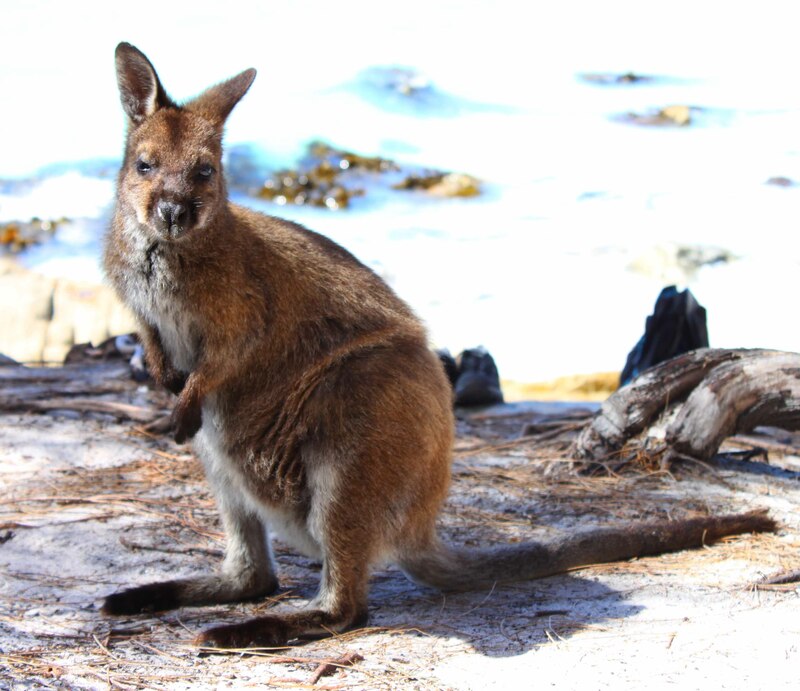 We don’t have Wallabies here so they are fun to see. 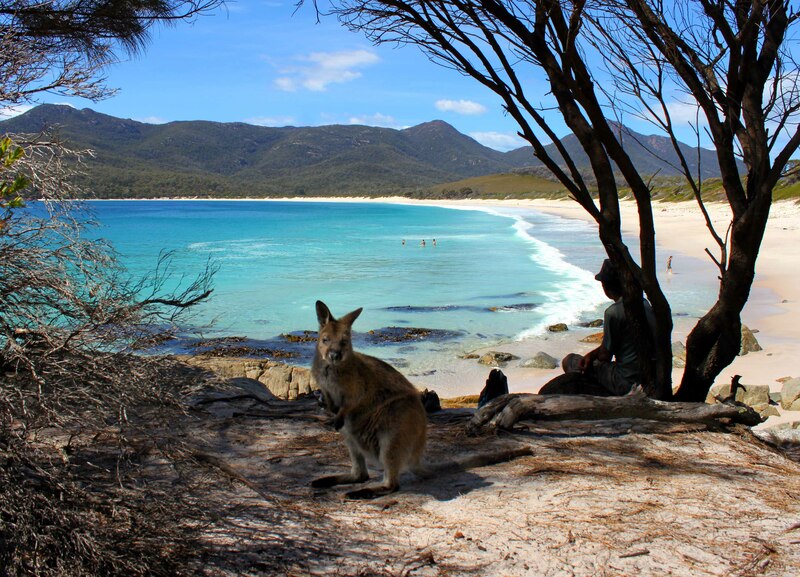 A kangaroo at the beach! I am in awe. Wow, this is a lovely post! 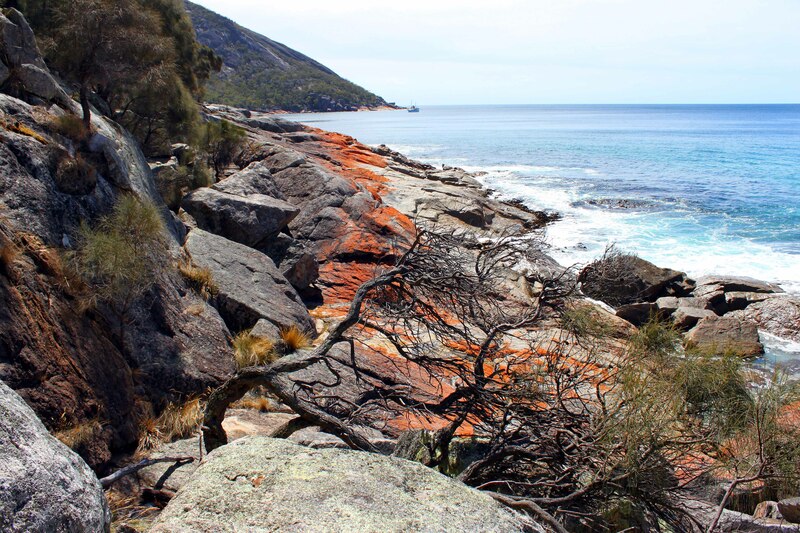 It makes me want to put Tasmania on my serious ‘to do’ list!